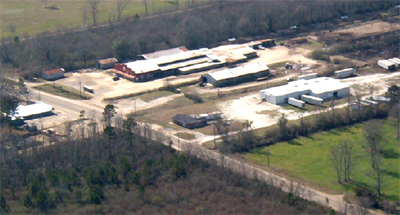 Amite Livestock Sales is located 1mile south of Amite on Hwy 51. Our Auction Day is every Tuesday; Sheep, Hogs & Goats at 11:30AM and Cattle to follow on Saturday at 12:30PM. Special Sales are advertised with advanced notice. We offer private sales daily. Our facilities and staff are equipped and experienced to receive and handle cattle 7 days a week. We can accommodate up to 1600 head of cattle. We have 130 pens under a roof as well as 20 outside pens. Our services also include working, penning and hauling cattle 7days a week. A restaurant is open on sale day. We do not have a sale the week of the following holidays: July 4, Thanksgiving, and 2 weeks for Christmas and New Year's. All owners are natives to the area and have strong ties with the community. Frank Lopinto has 27 years auctioneer experience as well as an abundance of knowledge in cattle and marketing. Jonathan and Edward have 20 years experience in the livestock business. We are a family run operation. We strive to satisfy the needs of all our sellers and buyers. We appreciate the "old-timers" and welcome the "new-comers"!